Since opening its doors back in 1992, Mall of America in Bloomington, Minnesota, has revolutionized the shopping world. The Mall is not only a retail haven, but also a source of entertainment for millions of visitors every year. But Mall of America has not grown into the international phenomenon that it is by staying the same. It’s constantly changing. 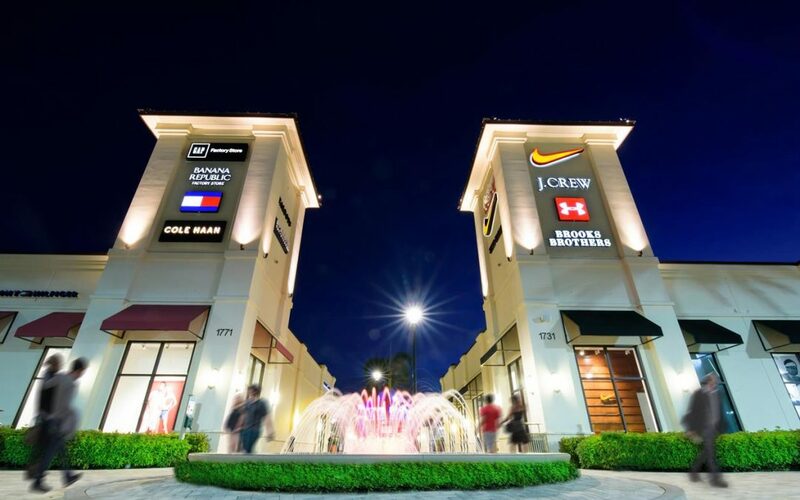 The largest mall in the United States continues to expand its retail, entertainment and restaurant offerings, giving shoppers something fresh and new to enjoy when they visit. This year, Mall of America welcomes over 20 new stores, restaurants and entertainment venues to the mix, from well-known national chains to innovative niche concepts. Here’s what’s new at Mall of America. Visitors to Mall of America can find all their beauty and personal care needs at Ulta Beauty, the largest beauty retailer in the United States. It’s the premier beauty destination for cosmetics, fragrance, skin care products, hair care products and salon services. Ulta Beauty opened its first store in 1990 and has grown to become the top national retailer providing All Things Beauty, All in One Place™. Ulta Beauty offers more than 20,000 products from over 500 well-established and emerging beauty brands across all categories and price points, including Ulta Beauty’s own private label. Ulta Beauty also offers a full-service salon in every store featuring hair, skin and brow services. Looking for something fun, funky and inexpensive? Five Below is the place to go. The store caters to teens, pre-teens and their parents by carrying an ever-changing selection of technology accessories, clothing, beauty items, toys and seasonal must-haves. And everything in the store is $5 or less. Five Below products are grouped into one of eight in-store worlds: Style, Room, Sports, Tech, Crafts, Party, Candy and Now. Five Below’s assortment features leading brands and merchandise made exclusively for Five Below. 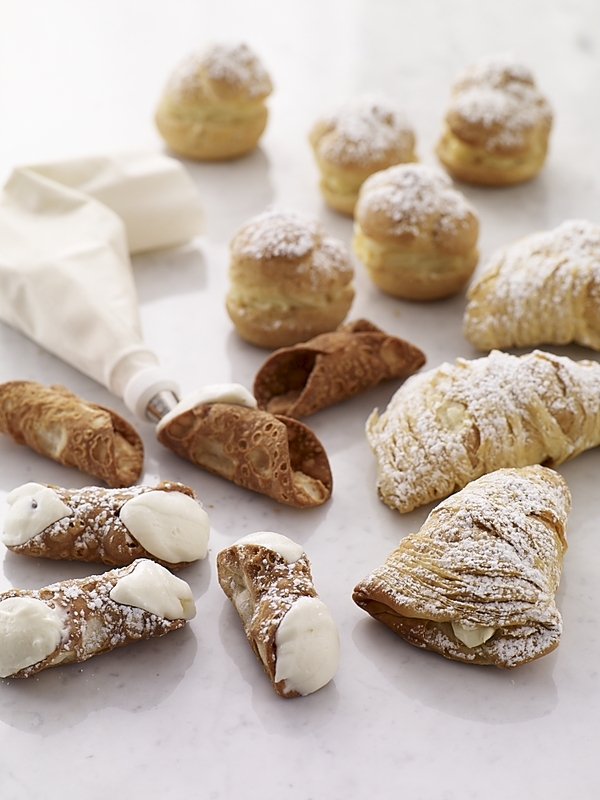 Dessert lovers must make a stop at Carlo’s Bakery. Established in 1910 in Hoboken, New Jersey, Carlo’s Bakery started as a favorite neighborhood bakery. Now it’s become a household name thanks to the public’s fascination with recipes produced by master baker Buddy Valastro and his family on TLC’s hit series Cake Boss. Get your coffee fix at Nespresso. A pioneer in the coffee industry, Nespresso operates in 64 countries offering elite coffee makers that deliver delicious coffee you can enjoy every day. Select from a wide range of coffee makers and espresso machines, plus unique coffee accessories like mugs and milk frothers. What symbol speaks to you? 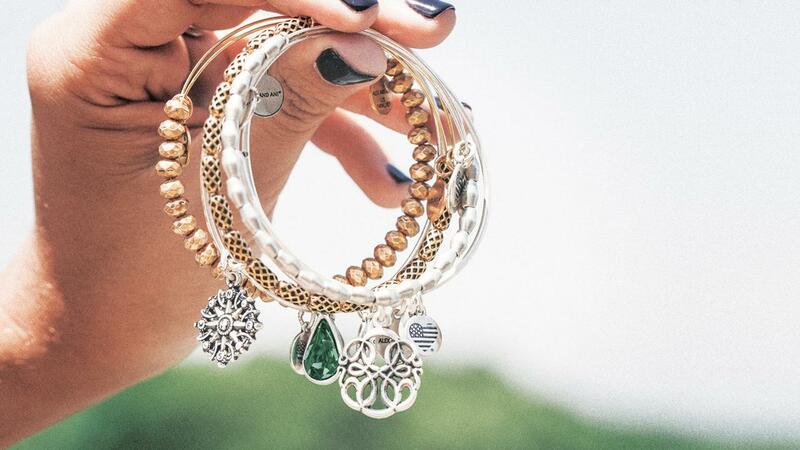 At ALEX AND ANI, you can find it. The brand creates meaningful, eco-conscious jewelry and accessories designed to connect with you. Carolyn Rafaelian, founder, CEO and chief creative officer, designs each piece. She believes that every person has a message to share with the world. By incorporating powerful symbolism into each product, ALEX AND ANI provides a vehicle for consumers to express their individuality. ALEX AND ANI is also committed to giving back to the world. 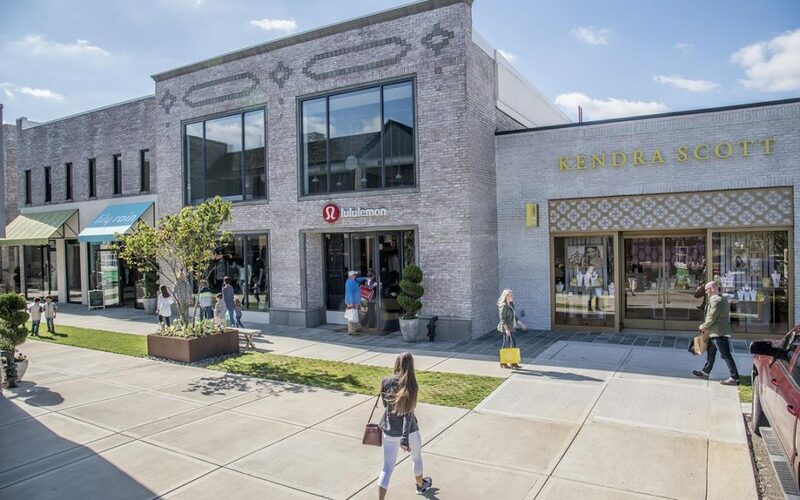 By using recycled materials with eco-conscious processes and through its CHARITY BY DESIGN division, ALEX AND ANI positively impacts the planet. Looking for a new fitness option? The Peloton bike gives you a private cycling studio that you can enjoy from the comfort of home. These innovative stationary bikes allow users to conveniently take live and on-demand group fitness classes from home. Equipped with a 22-inch HD touchscreen, the bike gives you instant access to classes led by elite NYC instructors, performance-tracking metrics and a motivating real-time leaderboard. With up to 14 live rides streamed daily and over 5,000 classes on-demand, the Peloton experience is immersive, socially connected and entertaining. The showroom at Mall of America allows you to test out the bikes and determine if they’re the right fitness option for you. Mothers looking for some new clothing pieces and accessories must make a stop at Evereve. This clothing store is an American fashion retailer for the fashion-loving mom, offering designer brands curated for a mom’s lifestyle. Shoppers can explore the latest trends with trained stylists who specialize in body type fit and assembling bold looks you’ll love from work to playdate to date night. Find fitness apparel and shoes galore at ASICS. This premium athletic company specializes in high-performance footwear, apparel and accessories for a wide variety of sports including tennis, running, training and golf. Whether prepping for your next marathon or just trying to stay active, ASICS has you covered. Putting a twist on the conventional dress shirt, Untuckit has created a shirt engineered to fall at the perfect length every time. Let’s face it, traditional dress shirts were not designed to be tucked in. Untuckit decided to come up with a shirt meant for comfort and not convention, that could be worn untucked and still look stylish. Satisfy that sweet tooth with a stop at Chocolate Moonshine Company. This family-run business has been cooking up fresh-made fudge since 1989, using the best ingredients and imported Belgian chocolate and sourced local cream from Pennsylvania. Started back in 1973 when it introduced its first waterproof leather boot, Timberland has grown into a top retailer for high-quality outdoor clothing and gear. Whether it’s for men, women or children, Timberland creates clothes that help people get outdoors comfortably and confidently. Looking for a pillow that won’t fall flat. MyPillow offers a patented interlocking fill that adjusts to your individual sleep needs regardless of sleeping position. MyPillow will hold that position all night, helping you fall asleep faster and stay asleep longer. Stop by to pick up a new pillow or two, as well as a comfortable mattress topper, travel pillows and even a pillow for your pet. Travel bags are not always the most fashionable or the most efficient. Enter Baggallini, the stylish travel companion with plenty of pockets to help people get from place to place easily. The bags are designed to help travelers stay organized while also looking trendy. No matter if your travels take you down a few blocks or across a few borders, Baggallini is there to make the journey a little smoother. Atlanta-based Chick-fil-A, a family owned and privately held restaurant company founded in 1967, has come to Mall of America. Stop by to grab one of its famous original chicken sandwiches. A new destination for all things Funtastic at Mall of America, GameWorks features a selection of 120 classic and cutting-edge video games, Minnesota’s most unique bowling experience, incredible high-def sports viewing and much more. On top of that, GameWorks Sports Grille offers visitors a wide selection of burgers, pizzas and sandwiches. Cowboy Jack’s brings you back to the Wild West with its fun, down-home cooking theme. 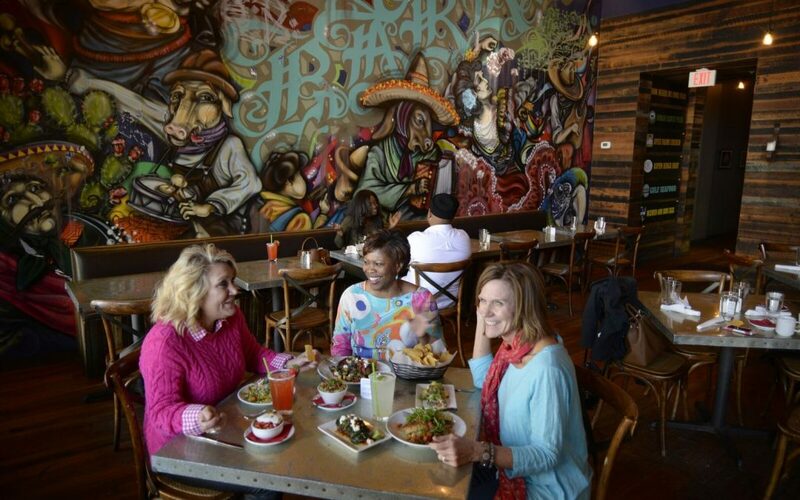 It’s a great dining destination for families, friends and tour groups. Order a saloon special like the baby back ribs or tater tot hot dish, or opt for a handcrafted burger or sandwich. Looking for a fun place to take your group? Visit Recharge Bar & Café to enjoy a wide variety of Americana-style cuisine. Select from specialty items like the Grand Prix Burger. Recharge offers Happy Hour 10 hours a day, 6 days a week—because it believes every hour is the happiest of hours. Offering a twist on traditional minigolf, Rock of Ages combines putt-putt with rock and roll. Guests will putt their way through different eras of music, starting from the 1950s and going all the way to present day. There are 18 holes of fun-filled extreme golf, sure to challenge and delight guests of all ages. Put your mind to the test at this extreme, immersive experience that puts you in a crazy situation you must somehow escape from. The location in Mall of America features four unique game themes—Mission: Mars, Prison Break, Gold Rush and The Heist. The Escape Room offers a fun team-building experience that groups of all kinds will enjoy. 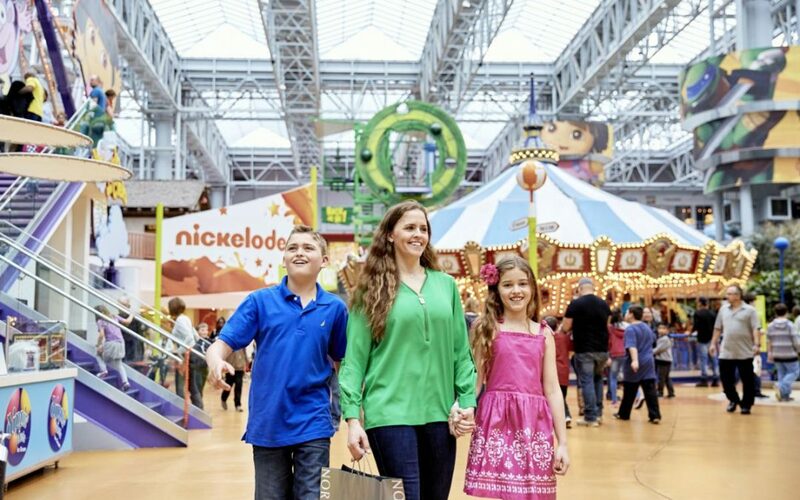 With so many new stores opening every year, Mall of America continues to offer travel groups wonderful experiences every time they visit. On top of the variety of retail offerings, Mall of America provides groups tremendous savings at over 520 stores with no sales tax on clothing or shoes. No matter what kind of group you have, Mall of America is happy to assist to make your visit as memorable as possible.